Friday 19th September 2014 – 11.30pm – Claire Brown. A collision involving a car and a horse-drawn-cart in Walsall this evening has left a boy and a teenage girl requiring emergency pre-hospital treatment. West Midlands Ambulance Service was called to the junction of the Chester Road and Lazy Hill in Stonnall shortly before 8.30pm (Friday). Three ambulances, a responder paramedic, a paramedic area support officer, a MERIT trauma doctor and medics from the Central Accident Resuscitation Emergency (CARE) team attended the scene. A West Midlands Ambulance Service spokeswoman said: “Upon arrival crews found a horse-drawn cart and a car which had been involved in a significant collision. “A young boy, who had been riding the horse at the time of the collision, sustained a serious head injury and abrasions to his body. Due to the nature of the boy’s condition, medics took the decision to anaesthetise him on scene to stabilise him. 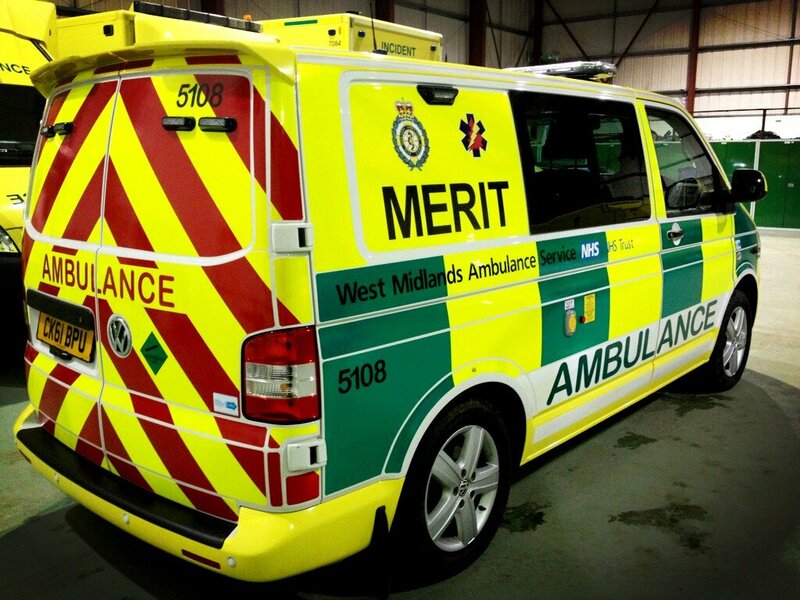 The boy was immobilised before being taken by ambulance on trauma alert to Birmingham Children’s Hospital. “A 17-year-old girl, from the cart, was thrown some distance in the collision. Upon assessment medics found she had sustained suspected spinal injuries. She was given pain relief and further pre-hospital care before being carefully immobilised by ambulance staff and alerted to Queen Elizabeth Hospital Birmingham, a regional trauma centre, for further emergency treatment. “A man and two-year-old boy, both from the cart, were assessed by ambulance staff and found to have suffered less serious injuries. Both were taken to Walsall Manor Hospital. “The driver of the car, a man believed to be in his 70s, sustained a minor head injury. He was also taken to Walsall Manor Hospital as a precaution.